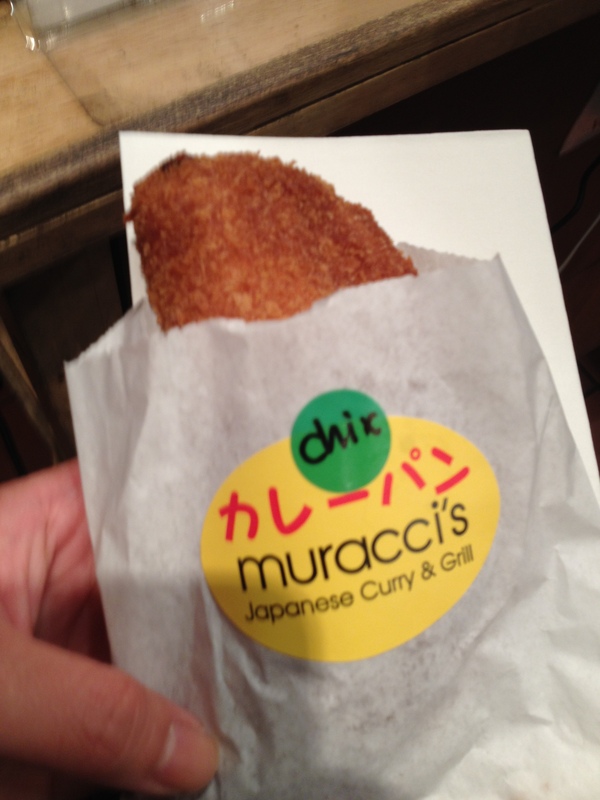 Murracci Curry is only open Monday to Thursday 11:00a.m.- 7:00p.m. Friday 11:00a.m. 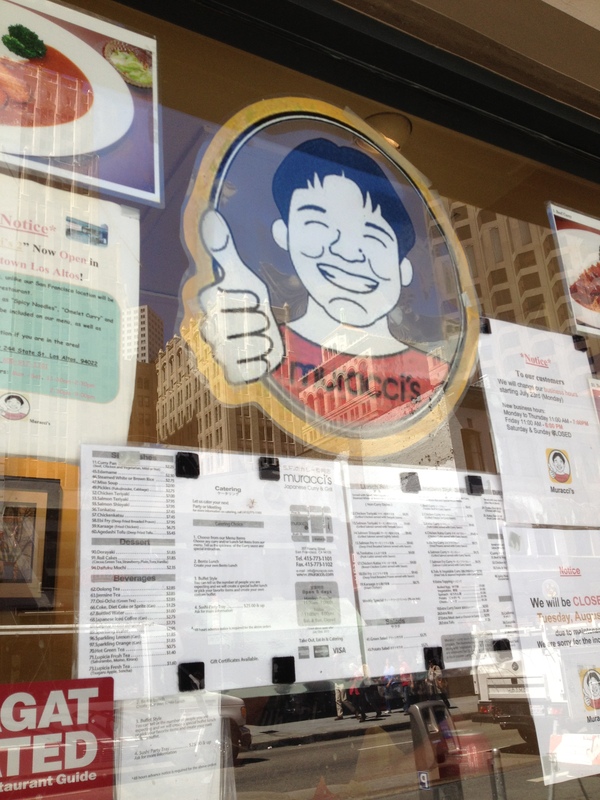 – 6:00p.m, so if you want the curry goodness, a huge smile and a thumbs up, get there on the weekday before nightfall. 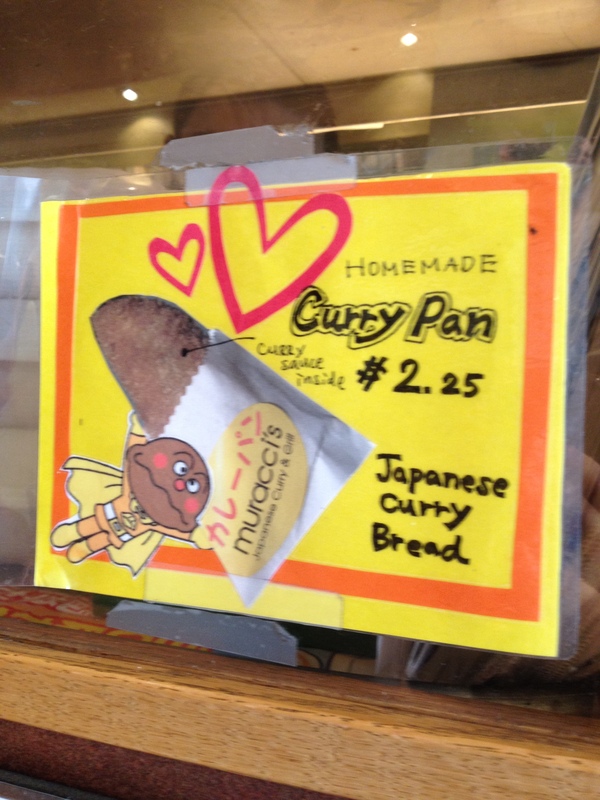 We had to try one of the Curry pan or Japanese curry bread filled with curry Beef, Chicken and Vegetarian for $2.25. 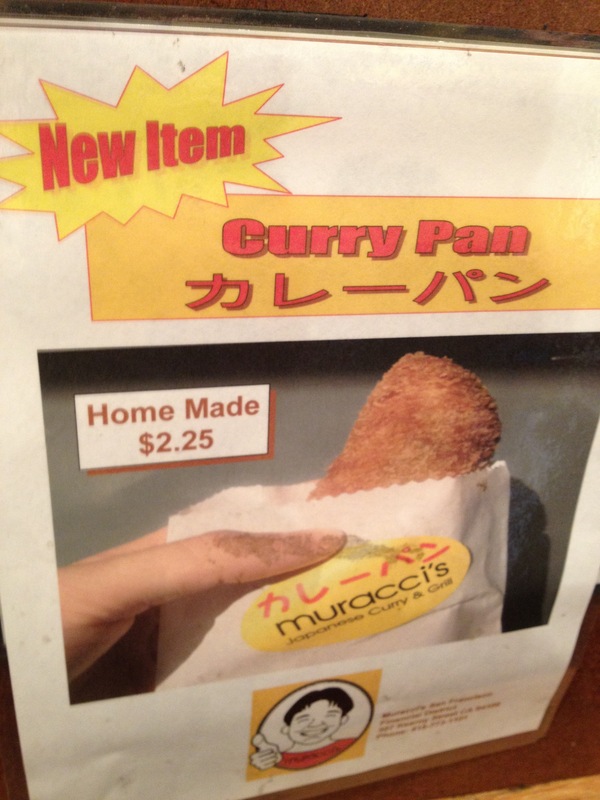 After seeing two signs, we had to order a Curry Pan. The chicken curry pan had sat under the warmer a bit too long so the crust was dry, however the curry center was quite flavorful. 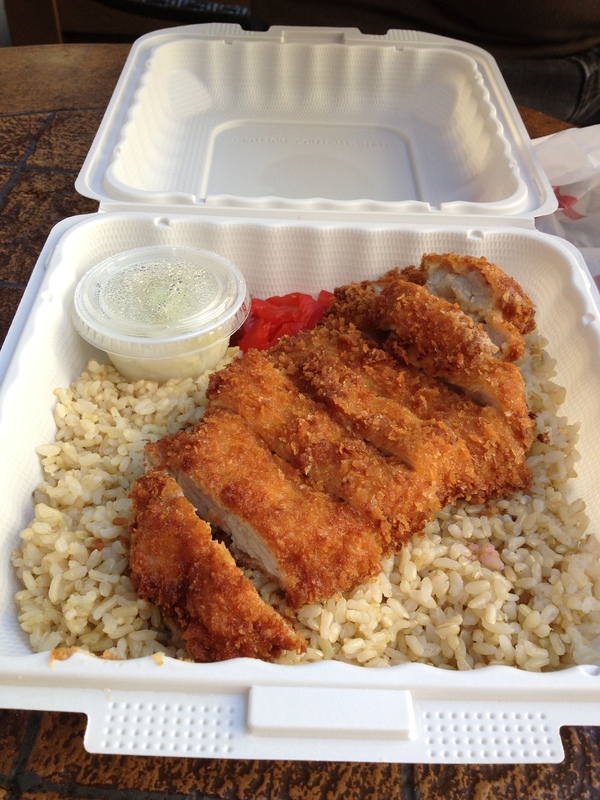 The Katsu Curry Pork Cutlet was super juicy on the inside and panko crusted on the exterior. 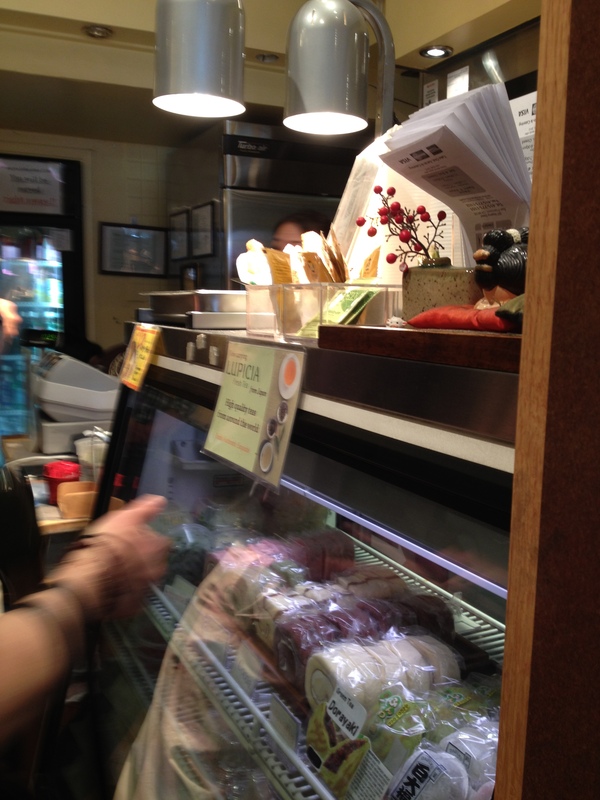 The pork cutlet was served with rice and a rich and flavorful curry sauce for $9.45. Murracci Curry also sells mochi and different flavored roll cakes and we will have to be back for the agedash tofu, karaage fried chicken, don buri and terikyaki lunch sets.